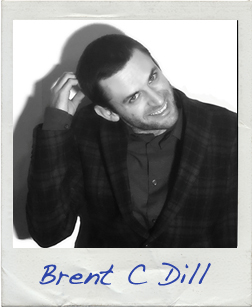 Brent C Dill would fall in love with a mop in a top hat if it told him he were clever. He grew up in Texas, but his constant need for reassurance and approval led him to Los Angeles. He would rather make you laugh than make you cry, but he would rather make you cry than have you stare at him in indifference. If he could invite five people to a fantasy dinner party, he would invite Allison Janney, J.K. Rowling, Aaron Sorkin, Natalie Maines and an oddly formal mop he just met. Brent lives in Pasadena, California, with his English bulldog, Arthur. Read the first page of Brent’s story!